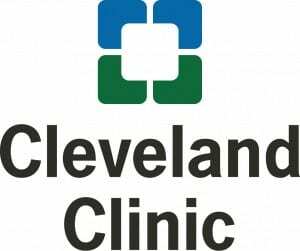 How much does a facelift or neck lift cost in Cleveland, Ohio? The cost of any facelift or neck lift operation, in Cleveland, Ohio or elsewhere, is going to vary based on many factors: surgeon experience, degree of surgical difficulty, history of prior surgery, complexity of additional or adjunct procedures that may be performed at the same time, additional materials or procedures (such as fibrin glues, drain tubes, special equipment) that may be used during the procedure, among many other factors. Additionally, there may be other associated fees such as anesthesia and facility fees that are often not included in the advertised “cost” of the procedure. Furthermore, there are geographical differences in cost of procedures as well. In Northeast Ohio, patients should expect the total cost (including anesthesia, facility and any other fees) of neck lift or facelift procedure to be somewhere between $8,000 and $15,000. Keep in mind this is a range of what might be expected as a total cost. RealSelf lists the average cost for “lower facelift” for Northeast Ohio as $9,700. A patient might be wary of any surgical fee quotation that falls outside of (either less than or greater than) this range. Less invasive procedures often promise to be minimally expensive procedures and have minimal downtime. Although, the consequence is often minimal, or even temporary, results. What is the best procedure for neck and jawline rejuvenation? Facial rejuvenation procedures should be tailored to the individual patient to address their specific anatomy and expected results. 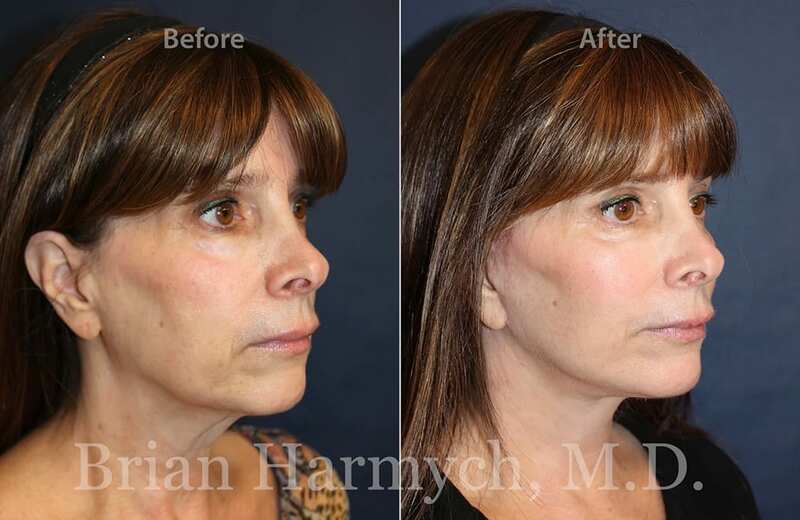 After thoroughly examining you, Dr. Harmych, an experienced and well-qualified facelift and neck lift surgeon, can discuss the details of the specific operation required to achieve your desired results. 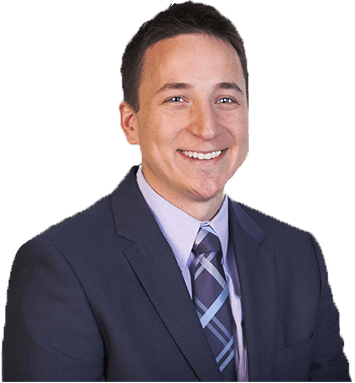 Who is the best facelift and neck lift surgeon in Cleveland, Ohio? What factors are important in finding the best facelift or neck lift surgeon? Board certification, surgeon credentials and experience are the most important things to consider when choosing a facelift or neck lift surgeon. Although, downtime, cost and results are three things most patients consider when thinking about facial rejuvenation surgery. All of these things should be carefully considered. 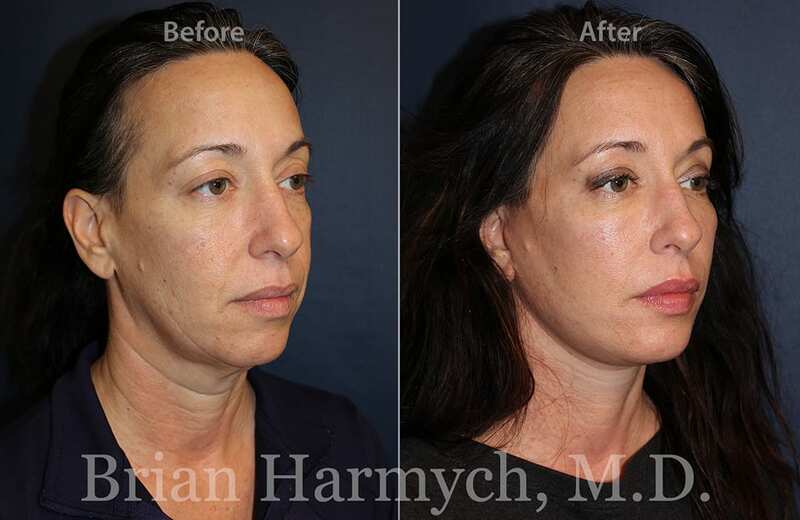 Dr. Harmych has extensive experience in facelift and neck lift, appropriate credentials and board certification, good rapport with patients and proven excellent results. Where should I go for Facelift or Neck Lift Surgery in northeast Ohio? Harmych Facial Plastic Surgery is located in the Cleveland, Ohio suburb of Pepper Pike near Beachwood, Ohio. 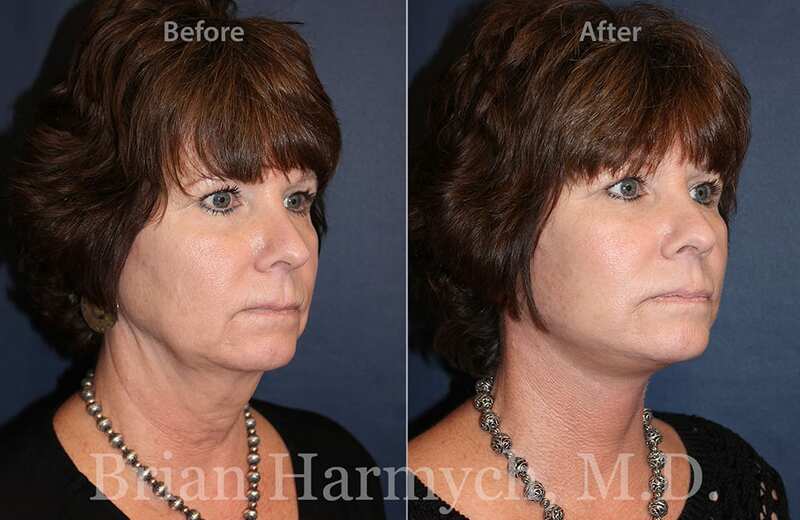 Schedule a consultation at our Beachwood location and see if Facelift or Neck Lift Surgery is a good option for you. 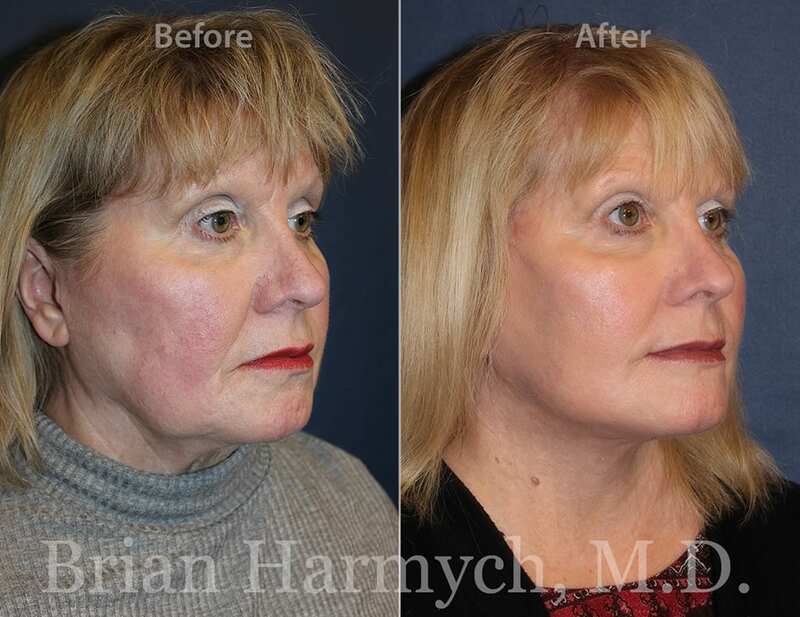 The before and after photographs presented in the facelift and neck lift before and after page and gallery depict actual patients of Cleveland, Ohio facial plastic surgeon Dr. Brian Harmych and have been used with written permission. Please note that our before and after gallery is provided in order to help you visualize the natural results that can be achieved at our practice. The before and after facelift photos are limited to patients who have agreed to allow their photos to be shared. Additional before and after facelift surgery photographs are available in our Cleveland, Ohio office. You will have an opportunity to view additional pre- and postoperative photographs that may be shared only in our office during your personal consultation.